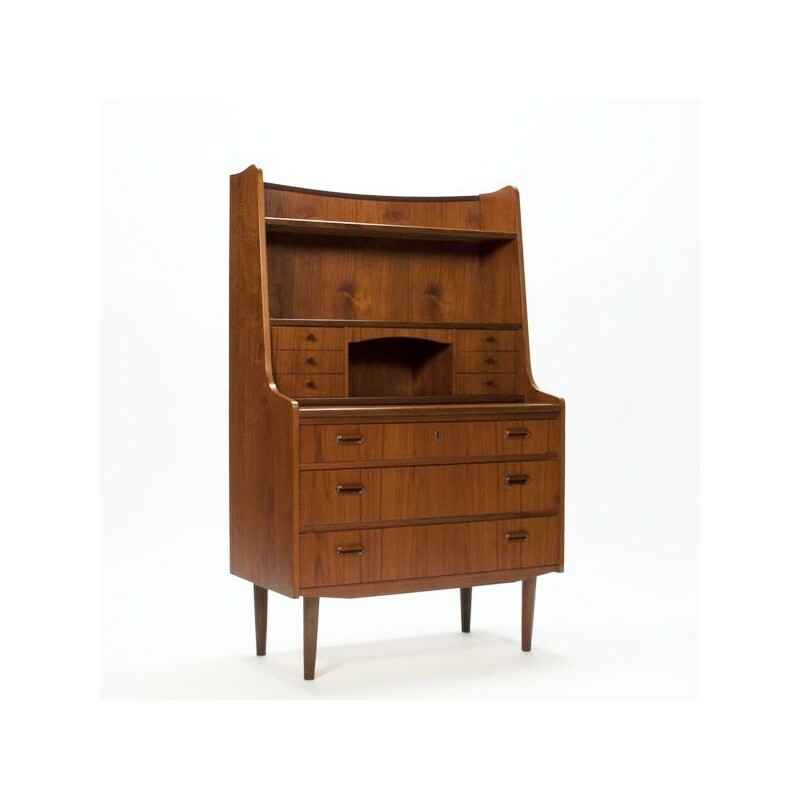 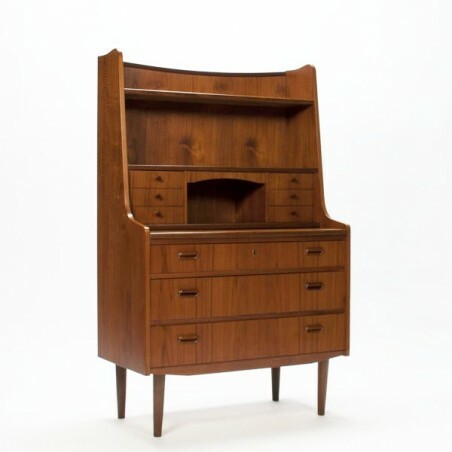 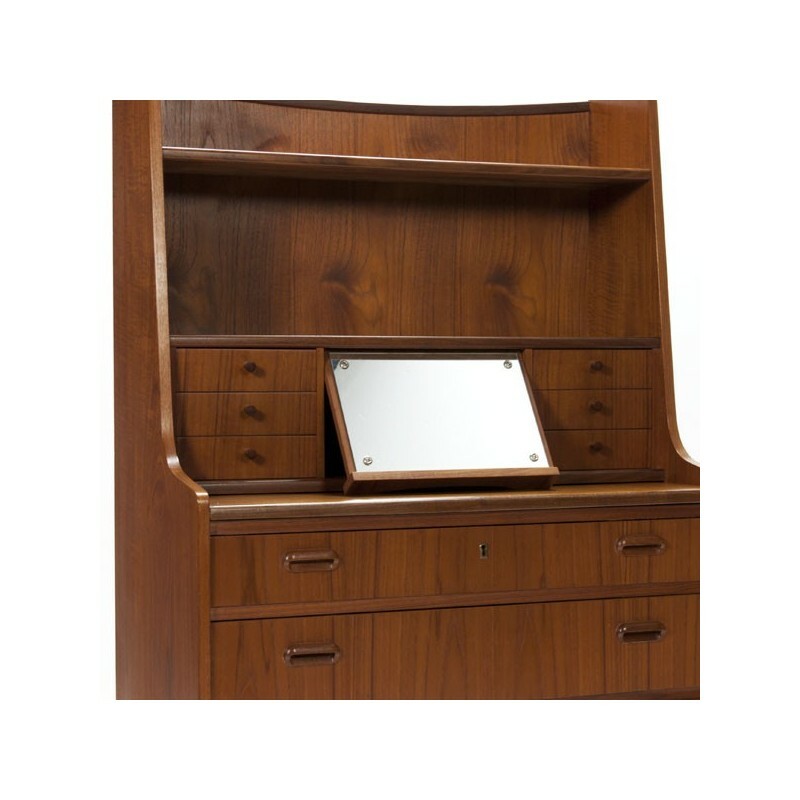 High model secretary from Scandinavia, around 1965, manufactured in teak. 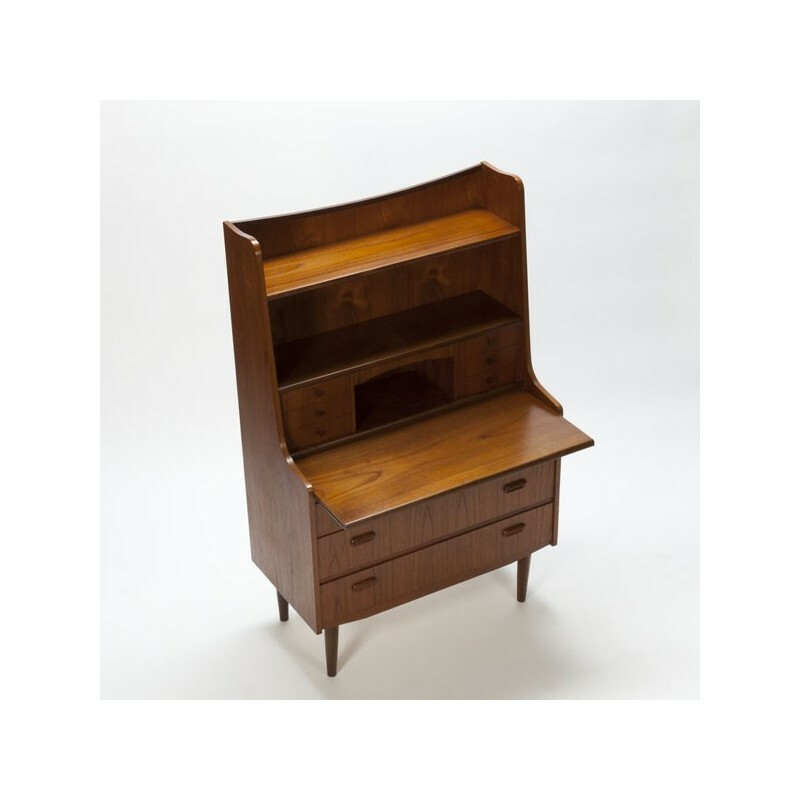 The desk has 3 large drawers, with a extending blade, small drawers, a bookshelf and storage space. 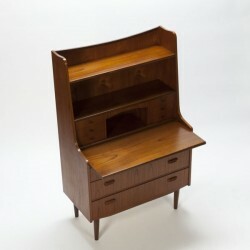 The condition of the secretary/ desk is good given it's age, see also the detailed pcitures. 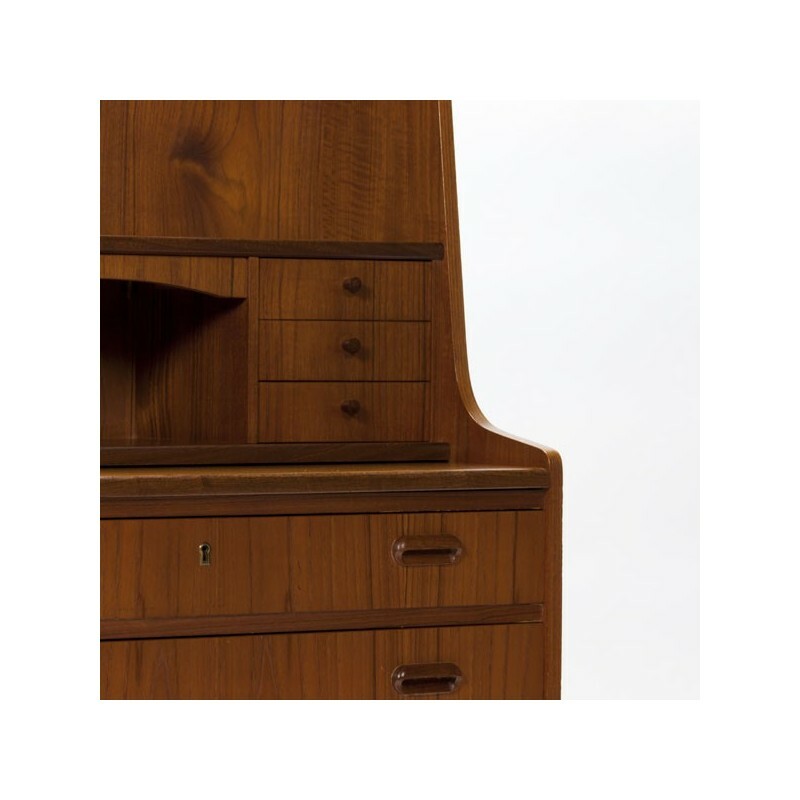 The size is 83,5 cm L/ 42,5 cm W / 135 cm H.